It's not really a great time to be a Friday the 13th fan. The franchise has been dormant for the better part of a decade and it doesn't look like that's going to change anytime soon. When last we saw Jason Voorhees, it was on the 2009 Platinum Dunes/New Line Cinema reboot. That movie never got a sequel, but producers Brad Fuller and Andrew Form of Platinum Dunes were dead-set on making another Friday the 13th movie and were literally weeks away from getting it off the ground before production was canceled. 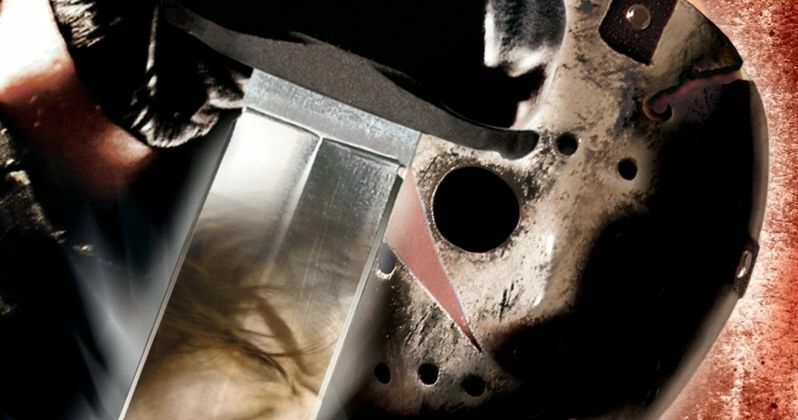 Now, Fuller and Form reveal the current state of the Friday the 13th franchise. Part of the problem in getting another Friday the 13th movie going was figuring out what direction to take it. There were many ideas, including possibly doing a found footage version of Jason carving up teenagers. Ultimately, a reboot was settled on, coming from director Breck Eisner (The Crazies) with a script from Aaron Guzikowski (Prisoners). That never came to pass, but it got very close. Here's what Fuller had to say about it, shedding some light on why getting this franchise back on the big screen has been so complicated. "One of the biggest heartbreaks of the last couple years was that we were about to make that movie and it fell apart. That still hurts. The fans reach out to us; Andrew doesn't really engage because he's not on Twitter, but I am and I hear from the fans and that's all they ask about. We get asked about that more than anything else. Fans think it's so simple, that if we want to make the movie we can go make it, and that's just not the case. There are rights issues; originally, Warner Bros. owned the rights, then Paramount had them for a couple of years, and now I think the rights are reverting back to Warner Bros. At the same time, there's this on-going lawsuit with Victor Miller. If there's a lawsuit hanging over the rights, it's problematic, you can't really make the movie until that gets settled. And now the movie is at New Line, and we've made a lot of movies with those guys, but that's not our home studio anymore. So the question is, [does New Line] want to make the movie with us? If they want to make that movie with us, we will drop what we're doing to make that movie. We had such a great experience making Friday the 13th, it was a dream come true to watch those movies as a kid and then be a part of it. So I don't really have a clear answer." Victor Miller wrote the original Friday the 13th movie and the lawsuit Brad Fuller describes has been a thorn in the side of the franchise. Until the lawsuit is resolved, which has to do with the rights to the horror series, nothing can be touched. With the rights in question, it's understandable that no studio wants to touch Jason for the time being. Andrew Form chimed in, having less to say, but admitting that not getting to make this new Friday the 13th movie is a source of great disappointment. "That one still hurts every day. We were a couple of weeks from filming on that one, Guzikowski wrote an unbelievable script, we found the camp... That one still hurts." Perhaps once this Victor Miller lawsuit settles, we'll finally see Jason Voorhees back on the big screen. As the producers point out, it looks like the rights will be back with Warner Bros. by the time that happens, which means they will be in control of the future, assuming Miller doesn't wind up with the rights himself. No matter what, it doesn't sound like the version they hoped to make will ever see the light of day. This news comes to us courtesy of JoBlo.